Experience the ultimate in luxury self catering at our immaculately restored period property on the outskirts of Westport town. Killadangan House offers supreme comfort, style and privacy to groups of up to ten guests. My husband and I booked into Killadangan House for a weekend as a pre—baby treat back in February and from start to finish the place was just spectacular. We arrived to a roaring ﬁre, home baked goodies and hot pots of tea/coffee. 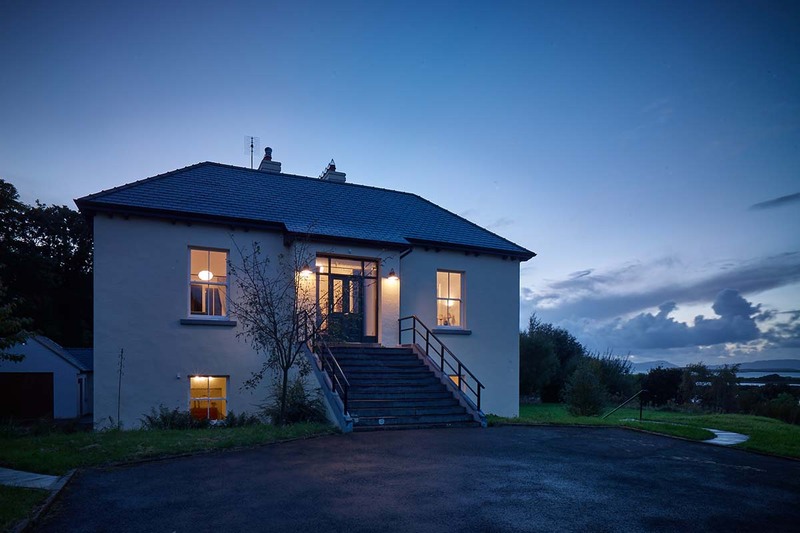 Amazing house with spectacular views of clew bay. Would highly save recommend for family/friend groups for a beautiful weekend away. Really well maintained house overlooking the sea and clew bay islands. Great atmosphere in and around the house. Good size sauna. a perfect recipe. I stayed for two days and two nights in Westport, and couldn't have chosen a better place to stay. The house is newly renovated inside. Super comfortable beds and linen, warm rooms that are well heated, comfortable and spacious bathrooms. Amazing, high level and personnalised stay! Rachel gave us a perfect stay at Killadangan. The house hided a beautiful, spacious and charming interior, all beds were prepared so we could choose were each wanted to sleep. I really loved Killadangan. The house has amazing views on the bay. The breakfast in itself was already delicious, but if you add the view, it is then gorgeous. Nicely renovated, the house is now perfectly maintained by Rachel.